Imagine… if you could do anything? And there were NO LIMITS, what would you do? What would you create? What would you contribute? So far, I’ve met 3 Billionaires. And let me tell you, they are a breed-apart. Recently I met a billionaire, Mr. Naveen Jain (founder of Moon Express and viome.com), and “The Biebs” (Mr. Justin Bieber) on the same day in Beverly Hills, CA. To be clear, I bumped into Justin Bieber in the elevator. And, I got to hangout with the Billionaire. But by-far, the BIGGER highlight for me, was meeting Naveen Jain. I share a little of what I learned by hanging out with a man worth 8 Billion Dollars. IN SHORT: Has me re-thinking my goals, and what I want to do with my life. Perhaps, this insight will help you too. Think bigger. Like… MUCH BIGGER. STEP 2 – Let me help you get it. Join my FREE 30-Day Challenge. I’ll help you SET and GET any goal. Just download my app by texting “Trevor” to 36260. It will show up right on your cell phone. Agan, just text message the word “Trevor” to 36260. 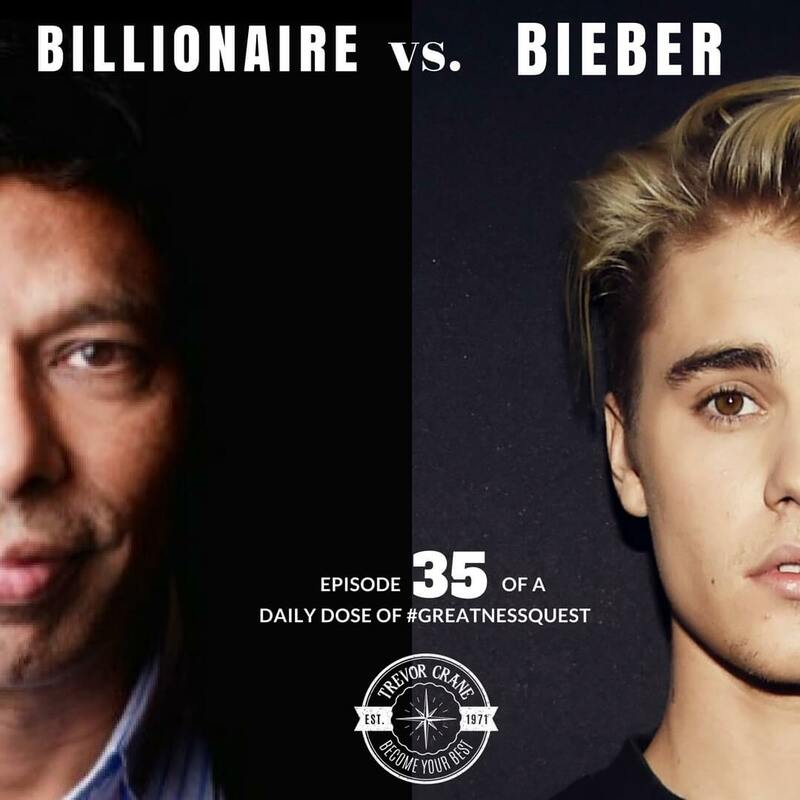 Billionaire vs. Justin Bieber… in a knock down drag out rumble!!! On the same day I met both Justin Bieber and a billionaire. And I’m going to give you a little hint. One of them blew my mind and I can’t wait to talk to you about today. I did learn from both of them and they have certain things in common. All right. Imagine if you could do anything, if there were no limits. What would you do? What would you create? And what would you contribute? So far in my life, just recently when I met the billionaire and Justin Bieber on the same day, I’ve met three billionaires so far. And let me tell you, they are a breed apart. When I met Mr. Naveen Jain who I didn’t know before I met him just recently, but he’s worth $8 billion Ba ba ba ba ba ba ba big B. He’s the founder of Moon Express and Viome.com. I’ve been doing more and more research into Naveen Jain since I met him. And I got to hang out with him for a little bit. He spoke at an event. And then a little mastermind breakout and I got to hang out with him on the walk to the room. And then hang out with him in front of a small group of people. And it was interesting because I oftentimes think I have something to contribute to the conversation. And my oftentimes have a lot of questions. I oftentimes think that I’m so smart that people need to listen to me. In this case, one of the most, what I found is that I just shut my damn mouth and LISTEN. Because when Naveen Jain spoke, he really blew my mind. He talked about things that challenged my beliefs about what was possible. 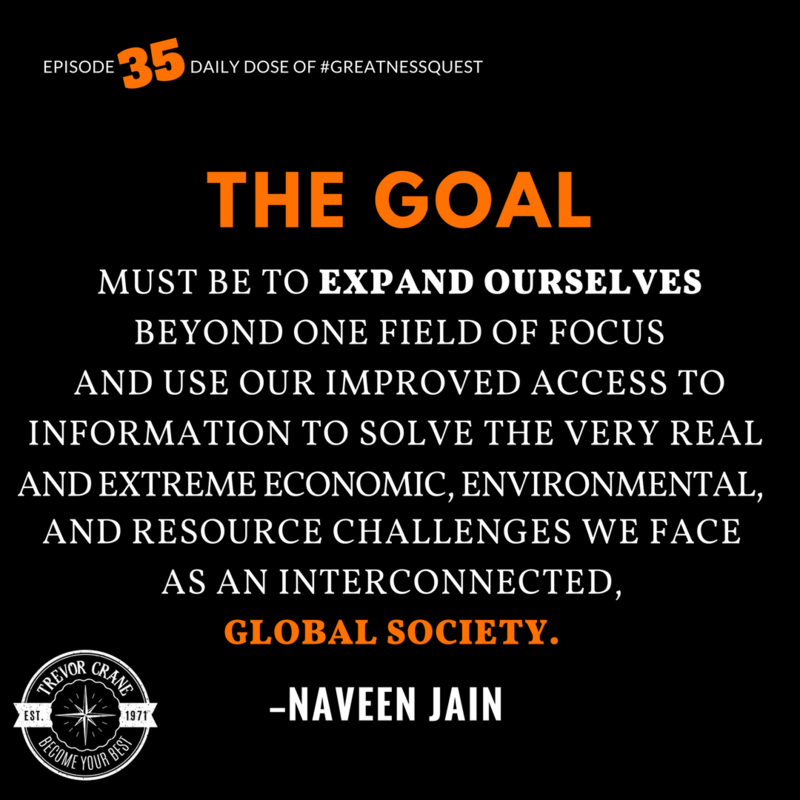 The previous goals that I had before I was listening to Naveen talk about his goals and vision for what he is creating and the real results that he’s created so far. It just, it dwarfed what I had been previously thinking. Now let’s go ahead and talk about some of the similarities between the two because I bumped into Justin Bieber in the elevator. We’re in a hotel in Beverly Hills and he came into the elevator when my wife and I were in there with our baby. And quite frankly, he was smiling and cooing at our little two month old son Maverick at the time. And I was so caught up with how cute my son was I hardly even realized it was “The Biebs”, but it was “The Biebs”. And here are the similarities. See both of these guys, both the billionaire and Justin Bieber were happy. They were both positive. They were, I mean, they really are. When I’ve seen them, you know, now I’ve followed “The Biebs”. Now for a while. I mean, he’s a happy smiley guy that’s the first thing that showed up in the in the elevator. Now granted, I guess they both like babies. Maybe that’s part of it, but you know they both had a positive energy about them. I’ve done some research about both of these guys just recently didn’t looking at what I wanted to talk to you about today. But, and I’ve got some other quotes like Justin Bieber. 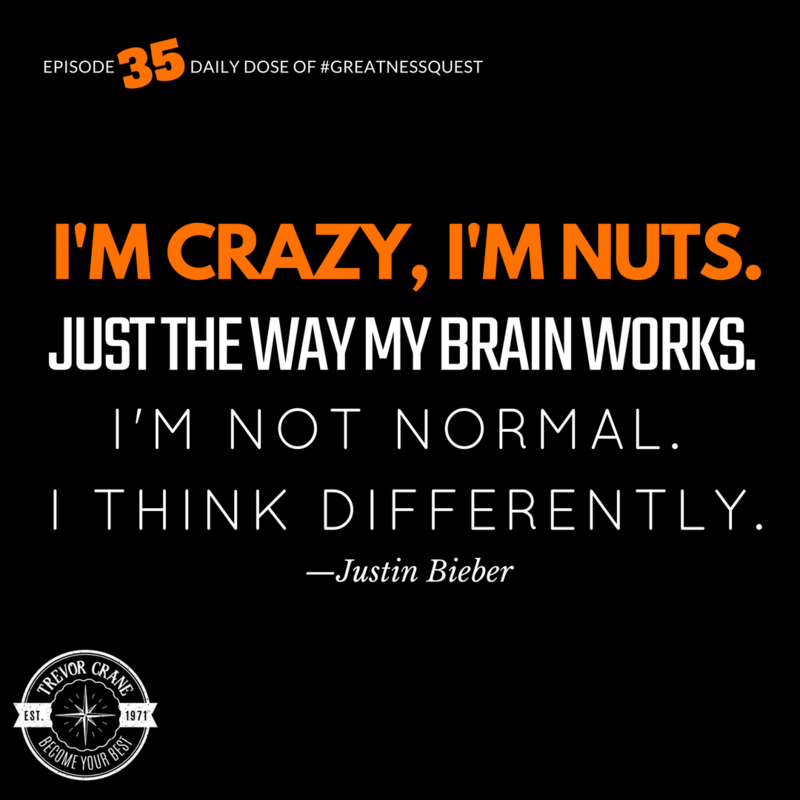 Justin Bieber talked about being crazy and nuts and he says that he’s not normal. And he thinks differently. Dude, you should look at what Naveen Jain has done with his company Moon Express. He has a contract. The only contract that I think exists, to go ahead and mine the moon for minerals, but you can mine the moon. He has a goal to go ahead and develop human, establishing human colonies on the moon by 2022. Like the dude is, has got BIG GOALS. 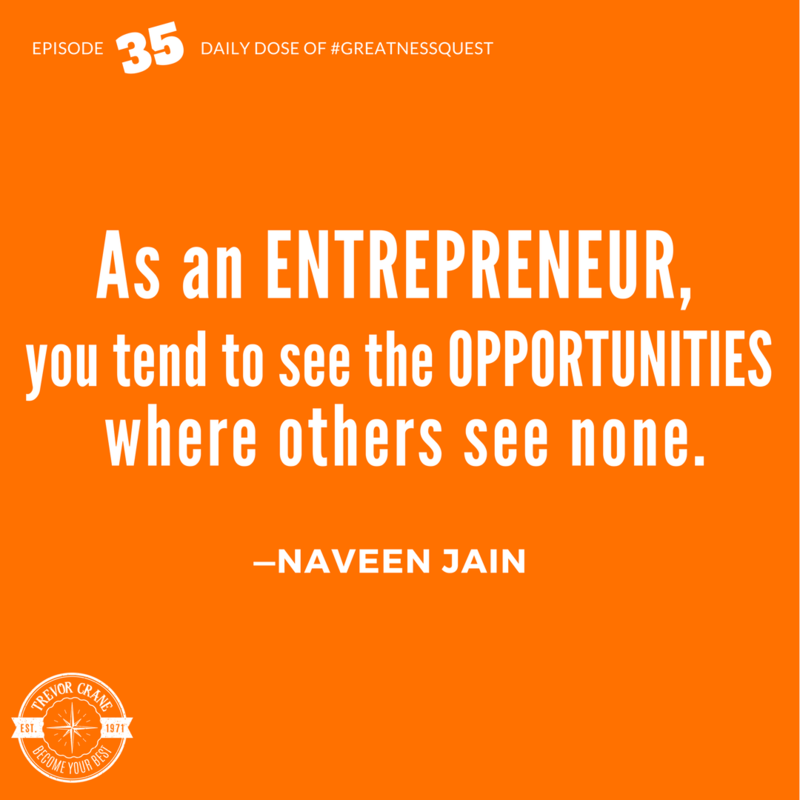 The biggest thing I learned from Naveen Jain is it is time for me to 10X my goals. I love grant Grant Cardone and the whole 10X movement. And his concept of, that anything you want to create just takes 10X more energy than you ever have to put in. That meant you originally think is going to take your 10 times the bigger problems 10 times bigger. You should plan goals that are 10 times bigger than anything that you ever should have created before. Like you should challenge yourself. He said one of his biggest mistakes, this is Grant Cardone who’s probably nearing billionaire status. I don’t know exactly where he’s at. But he talks about how the biggest mistake he had made in his life is that he set goals that were too small. 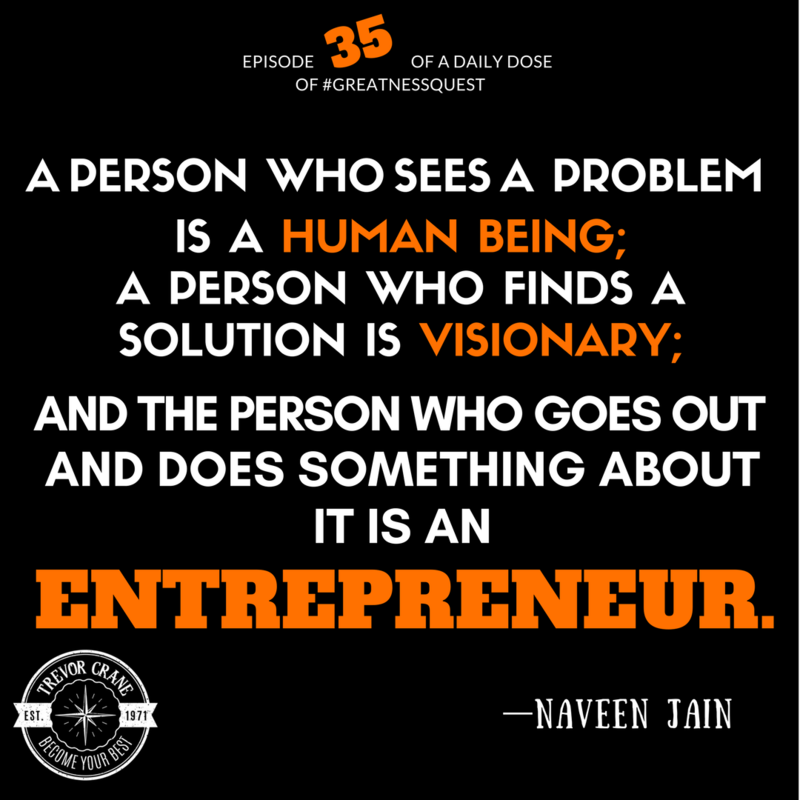 Now Naveen Jain that’s not his problem. He said that one of our purposes in life of being on this planet as a human being is to find solutions that benefit the world and our environment and our global society. That’s why he’s planning on colonizing the frickin moon. And what he’s most excited about right now, or at least what he talk about most was his company Viome which is designed to heal sickness, to basically make illness optional. And it was crazy guys. Being in his presence and imagining the conviction and certainty that he communicated. 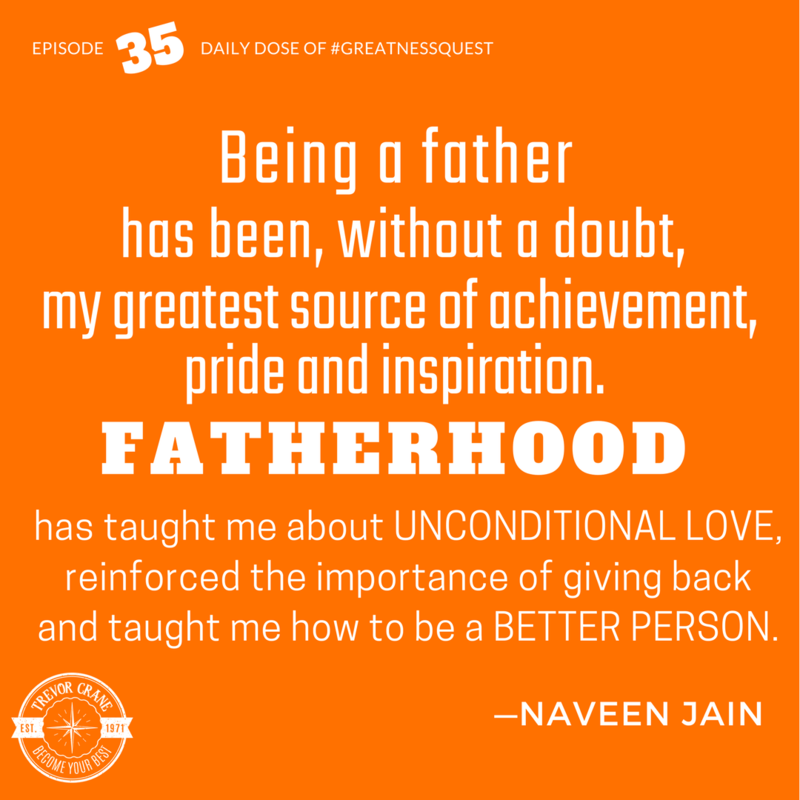 And by the way, that’s another common characteristic between “The Biebs” and Naveen Jain, phenomenal communicators. Really phenomenal communicators who are, I mean, look, Justin Bieber sayings right but he does have that. And he’s got a bunch of girls swooning at his tone. But Naveen Jain is singing too. His song is so audacious. His vision is so grand that he has attracted some of the most brilliant minds on the planet because he sells the vision and mission for what he’s doing so well. And he stood on stage and then he talked to them in a small room. As many as few things that came out of my mouth. I did speak with him a little bit. Like I said, I mostly listened. And so he’s invested a significant amount of his time, money, energy and resources and gotten some of the most brilliant minds on the planet to leave their other positions and jobs as scientists. And he, and here’s what Javeen said. He said that it’s difficult. It was really hard work to create a digital marketing agency. There was a lot of people in the room with this event who were marketers and digital marketers. That’s hard. He was, that’s hard work. He goes, when you create a big audacious goal, something that is audacious, what you are going to attract are the biggest thinkers and movers and shakers and audacious people. He’s like, then you’re creating an environment where you have a team of people that are bigger and better and smarter than you. And Javeen has chosen industry after industry that he knows nothing about. The dude gets up at four o’clock in the morning, every morning to research science journals. He’s actually said that in his Twitter feed. He has tried to hashtag all of the terms that he is researching so that he can learn more about a subject. And he can face it from a brand new perspective. Like instead of coming in as an expert in something, which I used to think was one of the highest pinnacles of awesomeness. I use, I teach this that you should establish your expertise. And he said the problem with being an expert is that you are now so well educated about this subject is it makes you blind to outrageous out-of-the box thinking. And that’s why he chooses to do businesses in vastly different industries so that he can come in and face it from a completely different perspective. So here’s my challenge for you. You have a date, you have a challenge today. Think bigger, like much bigger. You know, there’s something I don’t know if you’ve ever heard of it. It’s called a BHAG, a Big Hairy Audacious Goal. Set a goal and step one set a big hairy audacious goal, a really big like 10X bigger goal than what you’ve ever thought of creating in the past, like going to the moon. The frickin big colonizing the moon big one and then step two is let me help you get it. Like I hope on the next level mentor for you. If not, then find somebody who is but here’s what I would challenge you to do. I have a 30-day free 30-day challenge where I can help you set and get any goal. I’m currently doing research about creating audacious goals, my new book is called GET ANY GOAL and I’m in the process of doing research out around it. And I want to help you with a 30-day goal and you can join my book challenge or excuse me, my 30-day challenge by just getting my app. If you haven’t downloaded my app yet just pick up your phone and text message my name which is Trevor to the number 36260. That’s the phone number you put in. And then you text message my name Trevor to that and then you’ll get a little link to my app. Put that app on your phone and then there’s a button on my app which is my smiling face, is actually on your phone, you can go ahead and click it and then you can join my 30-day Challenge. I am so freaking excited about this 30-day challenge because it can help you set and get any goal. Let me support you with that. It is 100% free. I just want to showcase your results. I’ve got some cool stuff. I’m going to give you a gift. If you, I’m assuming that you’re going to accomplish a goal in 30 days, I’ll send you a free t-shirt. Okay, my cost. I’m relaunching one of my books called THE GIFT. It’s a 30-day gift challenge. Actually, this is my gift to you and I’m relaunching that. And there’s an audio book that is going on the back end of this as well, that you get for free. There’s all kinds of cool stuff with it. But let me help you and set a big hairy audacious goal and I don’t know whether you want to be sing and dance like “The Biebs”, who I completely respect and I thought was awesome. And I think is awesome. I’m not knocking him at all, but I am more inspired by someone who was trying to change the planet and the globe and our global society. And I can’t wait to see you tomorrow on another daily dose of greatness quest. Please share this with somebody else and comment and like today’s episode, go on iTunes and please give me some love, if you would, and share this with someone else that you care about. All right, have an amazing day.